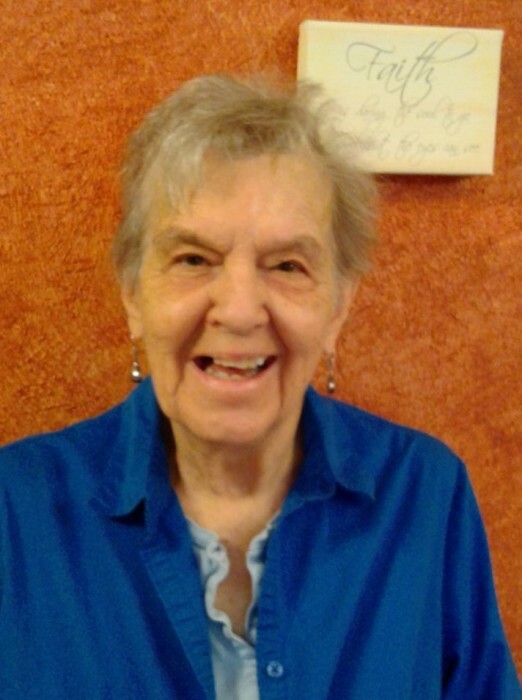 Irene Elizabeth Byrne (Austin) (Dean), formerly of Bellevue recently passed away on January 16, 2019 at age 91, in Ft. Worth, Tx. Where she had been living and cared for by family for the past few years. Irene was born on October 1st, 1927 to Charles and Stella (Rook) Byrne in Sandusky, Ohio. As an only child, Irene always loved being around children and people. As a result, she is survived by a large family, many friends, and associates from her lifetime. Irene qualified for the United States Cadet Nursing Corps in 1944, and studied Nursing at Providence Hospital, in Sandusky. She completed the program and Graduated in 1948 as a Registered Nurse, marrying Mark Austin of Ohio the following year. Irene was a career nurse, with most of her nursing experience in Public Health. She later remarried, to Leo Dean of Evansville, Indiana, (gaining 6 adult stepchildren). When Leo passed away, she retired from Public Health, and relocated to northern Ohio in 1990, to be near family. In retirement Irene became a Dorm mom at Cedar Point Amusement Park: she liked being around young people which kept her feeling young and involved. She also volunteered in her spare time: with 4 County Young Heart Senior Center, Bellevue Society of the Arts, the Salvation Army, and at Rutherford B. Hayes Presidential Library - where she worked transferring newspaper information to microfilm. This was useful information to increase family knowledge of their origins (genealogy). Her cousin Vera Sengstock also aided her in this. Irene loved to travel, seeing new places, and visiting with family and friends. Her strength was found in her family, her faith, and her prayer group. She encouraged everyone to have a positive outlook on life. She is preceded in death by her parents, Charles and Stella Byrne; her daughter, Von Kay Kautzman and Son-in-law Carl Kautzman; former spouse, Mark Austin; her husband, Leo Dean. And followed in death by her son-in-law, Robert Moyer, who passed away unexpectedly January 21st, 2019. He also will be missed. She will be interred with her parents in a small private ceremony at in Bellevue Cemetery. In lieu of flowers, contributions may be made to the charity of your choice.